When people think of InformaCast, they often think of its capabilities as they relate to Cisco IP phones. While this was the foundation of our mass notification software, as the needs of our customers have evolved, so has our software. 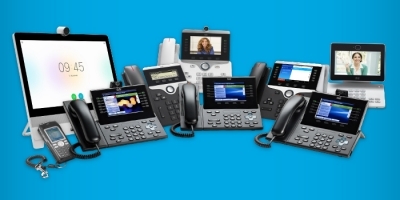 Cisco IP phones are no longer a prerequisite for using InformaCast. 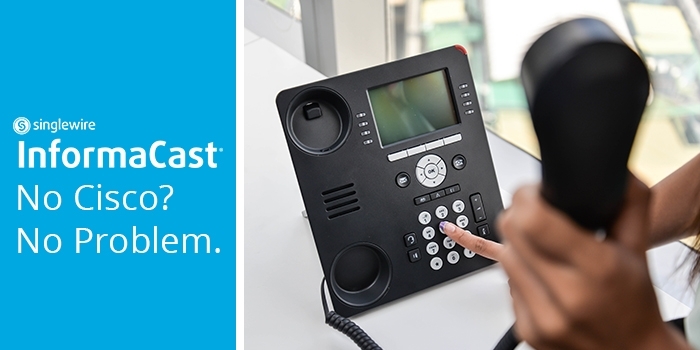 Our desk phone broadcasting feature expanded InformaCast Fusion compatibility to any device capable of listening for, then playing, audio sent over a multicast IP address and port. But even if that feature isn’t supported in your environment, InformaCast can still send to a wide range of devices even if desk phones are not compatible. In this blog post, we’ll look at how organizations that do not have Cisco phones or phones that can utilize desk phone broadcasting can still take advantage of the safety features offered with InformaCast. While desk phones continue to be an important part of communicating mass notifications throughout an organization, they are no longer the only device organizations need to rely on to share information. With InformaCast Fusion, you can leverage a wide range of devices you’ve already invested in to deliver mass notifications. Mobile phones, IP speakers, digital signage, desktop computers, and virtual collaboration tools like Microsoft Teams and Cisco Webex Teams can all receive InformaCast broadcasts. 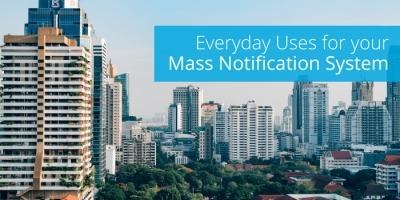 Reach is a key component of an effective mass notification solution. Even when desk phones are removed from the equation, InformaCast offers a wealth of options to reach your people with critical safety information. Part of the reason desk phones are so important to an organization’s mass notification plan is their prevalence. Most conference rooms and work stations are equipped with a phone. If that phone isn’t made by Cisco or compatible with desk phone broadcasting, can it still be used for mass notification? The short answer is yes. While it can’t receive InformaCast notifications, it can still trigger an alert if the phone system supports SIP. InformaCast can be used to configure virtual panic buttons and speed dials that activate mass notifications. 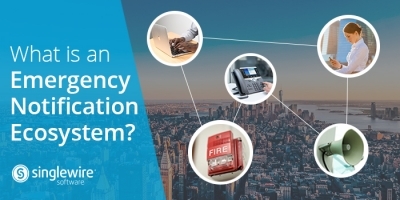 With the simple press of a button, or dialing a short designated code, people within an organization can activate mass notifications that reach other devices with critical safety information. Physical panic buttons, Internet of Things devices, the InformaCast Mobile app and web console, and virtual collaboration tools like Microsoft Teams and Cisco Webex Teams can also be used to trigger alerts. This offers users a robust mass notification ecosystem to help keep people safe and informed, even if you cannot utilize the full feature set for desk phones. When an emergency occurs, we want to provide a solution that gives you the best chance of reaching all of your people as quickly as possible. Whether you’re using InformaCast compatible phones or other devices, you can still harness the power of InformaCast to send mass notifications that keep your people out of harm’s way.